Love in the future? Love now? Listen and discover! One love story set in the future, one set in the present day – time to download this week’s free audiobooks from SYNC so you can read with your ears! Click on the link for the complete audiobook you want to download before Wednesday (6 June 2018), then you can listen to it as long as you keep it on your device. Blind from birth, Will’s first days at mainstream high school are tense, but he finds friends and the quiz team… and Cecily. When experimental surgery may grant him sight, who can predict what happens next? Love amid challenging medical situations – any other titles to recommend? Nothing that this young American teen thought she knew about her family is true – Mom and Dad aren’t her parents, glamorous Aunt Adrie is her mother… and a German spy! And what a terrible truth she discovers about the Lebensborn nursery where she is required to volunteer. Find this 2015 paperback (or 2014 hardcover) at your local library or independent bookstore. Be sure to also grab the companion book Shadows on the Sea (my no-spoiler review here) to discover how Wendy finds herself in this perilous situation in the first place. How far would you go to stand up for your beliefs? Book info: The Watcher / Joan Hiatt Harlow. Margaret K. McElderry Books, 2014 (paperback, 2015). [author site] [publisher site] Review copy and cover image courtesy of the publisher. My book talk: Kidnapped from America by her German spy ‘aunt’ and taken to Berlin, Wendy learns of her real parentage, encounters the people spying on her, and must decide which path to follow during World War II. After rescuing a puppy who failed SS police dog school, Wendy walks in the park near Adrie’s house, where she and Watcher meet Barret and his seeing-eye dog – at last, someone who speaks English and doesn’t scorn her for living in America! Oh, no! Was that White Rose anti-Nazi pamphlet still in Wendy’s coat pocket when she fell terribly ill?? Wendy becomes convinced that she must escape from Nazi Germany in this suspenseful tale which follows the events in Shadows on the Sea. Going blind or singing solo? Confronting Mom or DJing solo? Lists of true fears, open to true friends? As Hailey faces encroaching blindness and Kyle faces up to his failure to protect best buddy Pavel, they meet at school and begin inching toward the uncertainties of their futures as they mark items off their personal lists of fears. Lots of bumps along this relationship road, especially as Kyle kicks himself for allowing anyone else to help Hailey jump into intimacy. This book in two voices is written by C. Desir (I recommended her Other Broken Things here) and Jolene Perry (check out my recommendation of Stronger Than You Know here) whose characters in difficult situations are real, heartfelt, and honest. Meet mostly-fearless Hailey and so-shy Kyle in this free excerpt, courtesy of the publisher. What fear is on your list-to-conquer? Book info: Love Blind / C. Desir & Jolene Perry. Simon Pulse, 2016. [Christa’s site] [Jolene’s site] [publisher site] Review copy and cover image courtesy of the publisher. My book talk: As her eyesight deteriorates, Hailey starts a list of fears to conquer and urges new friend Kyle to do the same. While the Chicago teens start facing their fears head-on, other emotions begin to color their relationship. When Kyle’s dad left, all the warmth at home did also. Kyle couldn’t protect best friend Pavel from horrific bullying. How can he help Hailey with her fears list… when he’s falling in love with her? Her guitar and her music – at least those will be left for Hailey when glaucoma takes all her sight. But how can she face a future where she’ll never see the faces of her moms or be able to truly see Kyle? Told in alternating chapters by two authors known for their strong characters in difficult situations, Love Blind explores friendship, love, and getting beyond reasonable fears to tackle the truest ones. Blind Guide to Stinkville, by Beth Vrable (book review) – she’s not ‘that blind’, right? Maybe Alice is right to think that she will never feel at home in the small paper mill town of Sinkville. Or maybe she can find connections that will make her new life less stinky. Travel to Alice’s new town today by visiting your local library or independent bookstore where you can find A Blind Guide to Stinkville as 2015 hardcover or 2016 paperback. Watch for its follow-up title, A Blind Guide to Normal, too (published in October 2016). Do we let our first impressions of others make them ‘other’ to us? Book info: A Blind Guide to Stinkville / Beth Vrabel. Sky Pony Press, 2015 (hardcover), 2016 (paperback). [author site] [publisher site] Review copy and cover image courtesy of the publisher. My book talk: Moving to a small South Carolina town means new challenges for sight-impaired Alice, but as she tries to get people to not see her as different, she discovers new friends and connections that are at risk when her parents discuss sending the 12 year old to school for the blind. If people want to think that her farting Shi Tzu is a Seeing Eye dog, Alice won’t correct them. If her best friend back in Seattle is suddenly busy with parties and boys, Alice can’t do much about that. But when Mr. Hamlin may be forced into a nursing home, mean girl Eliza lies about Tooter attacking her, and Dad spends even more time at work as Mom retreats into depression, Alice is ready to fight! Writing her essay for the local contest will fix everything…unless it can’t. Not If I See You First, by Eric Lindstrom (book review) – Blind to love? Lost her mom and her sight at age 7, lost her trust in love in 8th grade, lost her dad last year – Parker has hardened her heart against more pain, but avoiding Scott is no longer an option when their high schools merge. Jog over to your local library or independent bookstore to meet Parker and see if her blind spot about Scott is bigger than her capacity to forgive. Not If I See You First just came out in paperback last week. The author, Eric Lindstrom, curated the contents of the November 2016 package for NOVLbox book service, so enter their contest here and you might be one of ten lucky winners. Book info: Not If I See You First / Eric Lindstrom. Poppy, hardcover 2015, paperback 2016. [author site] [publisher site] Review copy and cover image courtesy of the publisher. My book talk: Merger of the New England town’s high schools places Scott back in Parker’s path, but she wants to ignore the guy who violated her trust during 8th grade, pretend that her aunt and family didn’t have to move into her house to help the blind teen cope after her father’s recent death, and brush off the track coach’s request that she train with a guide-runner for the Paralympics. Too-honest Parker wears unique blindfolds as a fashion statement, she and best-friend-forever Sarah listen to others’ problems, and at least they didn’t have to move when the schools merged. But can she cope with having Scott in her trig class, nightly dreams about her late father, and figuring out how this dating stuff goes with Jason? Pendulum House, with its namesake device swooshing through the parlor in great arcs. A dragonbone desk and enchanted daggers. The Gates of Iron, opening into New York City every midnight for exactly 60 seconds. Welcome to Dark Street, last of the 13 great roads connecting the worlds of humans and Faerie, in 1877 as yet another crime investigation is bungled by Inspector White. In just weeks, Oona Crate will be considered old enough to select her own life path, and she knows that she must become a true detective, ignoring the magical blood that flows through her. Stereotypes for wizards and witches go by the wayside on Dark Street, as Oona must deal with slippery memories, the Goblin Tower prison, suppliers of contraband, and a most puzzling riddle. The author has scripted, scored, and recorded a musical introduction to Oona’s world that you won’t want to miss in a video that charmingly showcases his composing and singing skills. Look for The Wizard of Dark Street at your local library or independent bookstore. My Recommendation: Oona wants to be a detective, not a wizard. Although she is the first natural-born magician in 200 years, she ought to be allowed to cultivate her other talents – as long as she doesn’t get permanently killed in the process. As Wizard’s apprentice, Oona was learning spells needed to defend humankind if evil forces from Faerie realms attacked; even in the modern world of 1877, the Wizard must be ready. Dark Street lies in the heart of New York City, but ordinary humans rarely find this last corridor between the worlds of Man and Faerie. But the Wizard’s disappearance, an increase in crimes along Dark Street, and an incompetent police inspector lead her to investigate many things – Why do only young witch girls venture out of Witch Hill? Who has stolen all of Madame Iree’s dresses? Is the blind actor a victim or a criminal? Luckily, Oona has enchanted raven Deacon to tutor her in further magic and her own natural curiosity to lead her in detection. Are the criminals after something bigger than just designer dresses? Were her parents really killed by magic instead of an accident? This first Oona Crate mystery places readers solidly into its 1877 setting and a very magical place indeed. (One of 5,000 books recommended on www.abookandahug.com) Review copy and cover image courtesy of the publisher. Still totally inept at social interaction. It’s Fun Friday for us, but not so much fun for mid-20s Simon, as a fleeting glimpse of an old high school friend sets off a chain of reminiscences and regrets. Simon’s high school acquaintances couldn’t even remember that Koreans weren’t Japanese – why did he expect them to show a little respect to Irene who was trying to make her way through the sighted world? And you’ve got to wonder why Nancy decided to open the letters addressed to the former tenant of her apartment. Did this Sarah really move without a forwarding address to avoid being contacted by Ben? Did Nancy really write back to Ben, pretending to be Sarah!? Derek won the 2004 Eisner, 2004 Harvey, and 2003 Ignatz Awards with Same Difference as a self-published book; it’s even better in this hardback reissue, published this week with spiffed-up art and Derek’s notes about how he used sites he knew to create an authentic setting for this mostly-not-autobiographical story. If your local library doesn’t have it yet, head for an independent bookstore to get Same Difference – hope your copy has the cool acetate cover with the fish! Proof again that comics ain’t just for kiddies. Recommendation: Regretting the past is familiar for Simon in his mid-20s, but worrying about his pal Nancy’s offbeat response to misdelivered mail is new territory. Unexpectedly catching sight of an old friend from his small-town California high school, Simon explains to his friends why he just can’t go talk to her. Even several years after graduation, he feels the pain of being an outsider, a grunge-rock Korean surrounded by waves of belligerent Anglo blockheads. Irene transferred in during their senior year. Since they had two classes together, sometimes Simon would walk with her to class. Oh, and she was blind, so the local yokels loved to make stupid jokes about that, too. When she hinted about going to the dance together, he bailed out, made an excuse about visiting relatives…but didn’t. Nancy finally lets Simon know about the mail that’s been coming to her new place – mail from Ben Leland to the last tenant, mail that professes his undying love for Sarah, mail that Nancy opens, week after week, and then answers! When a package arrives from Ben, Nancy decides that she has to get an actual look at him and wrangles Simon into driving her to Pacifica – Simon’s hometown. Can they find Ben? Will Nancy really try to take a peek at him? Or contact him? Will Simon cross paths with Irene again and get the nerve to apologize? Sometimes growing up is a lot more difficult than it appears on the surface. 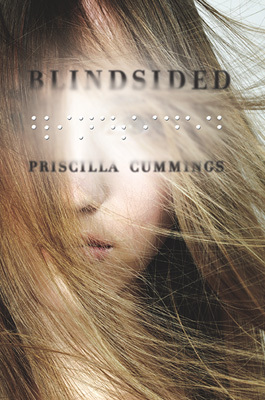 Blindsided, by Patricia Cummings (book review) – sight vanishing, can hope remain? Going blind! How could you handle that diagnosis, that reality? Having to leave her school and her family to learn how to truly cope as a blind person in the modern world… I think Natalie is stronger than I ever could be in that situation. I recently visited with an old college friend who never let blindness stand in his way as he went to law school, practiced law for years, and is now finding great satisfaction promoting the National Federation for the Blind’s Newsline service, which offers over 300 newspapers and magazines read aloud by phone or online 24/7 for those with visual impairment. If your grandparents, neighbors, or friends can’t see well enough to read print, help them get connected to Newsline for pop culture, science, health, news (gotta love modern technology!). My Recommendation: The summer before 10th grade, Dr. Rose says that Natalie will go blind – completely and absolutely blind, maybe overnight, maybe before Christmas. So she transfers to the Baltimore Center for the Blind boarding school so she can learn Braille and learn how to cope. With the little tunnel of sight she has left, Nat is sure that she’s not like the other kids there – the ones blind from birth or suddenly blind from an accident – and she just lives for the weekends at home with her parents and the goats, away from lessons about walking with a cane and making the bumps of Braille become letters in her mind. Dr. Rose could be wrong – miracles happen, right? Bargaining for miracles doesn’t work in real life though. Nat has to decide if she’s going to get ready for her new life or hide forever on her parents’ farm. Are her old friends starting to forget her? Can her new friends and teachers help her prepare for a future she can’t envision? The author’s academic year spent with blind teens and all their hopes, fears, and expectations makes this work of fiction read like real life. 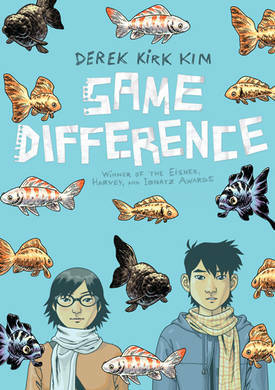 (one of 5,000 books recommended on www.abookandahug.com) Review copy and cover image courtesy of the publisher.